There are 17 reviews of Y. Another boring scent for boring people. It's a sign of the times that YSL has dropped or reformed their best classic frags and produced cheap drek for the masses. I can barely smell anything on the applied area ten minutes afterward, and all I get to begin is a generic aquatic nothing. WHY?! Thé eau de toilette is all about a blue scented shower gel. The usual blue fragrance. The eau de parfum has got more personality, with a lot of salt. 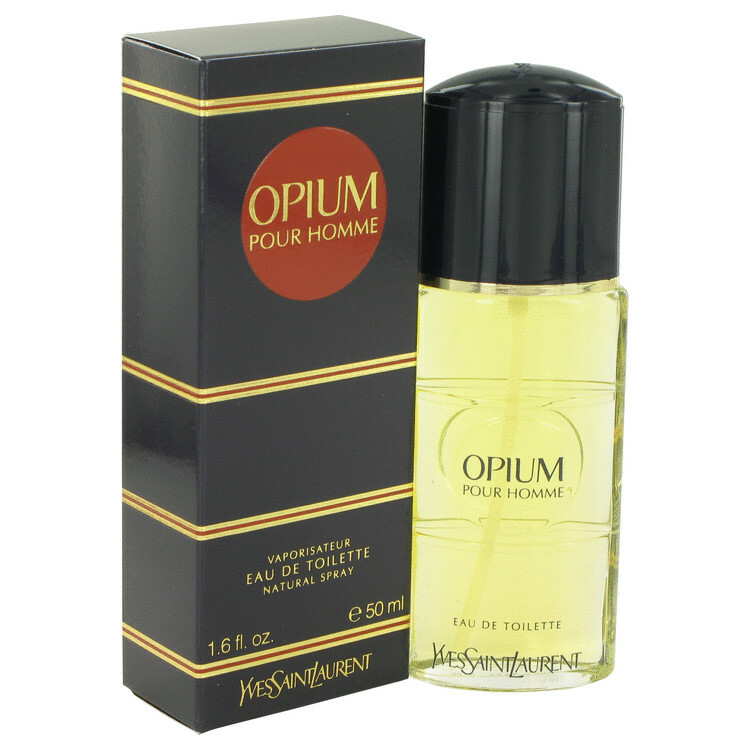 Wow, this is quite a "sticky" ambergris-musk based scent from Yves Saint Laurent! "Y" belongs squarely into the modern melange of strong, fruity-woody-spice beast colognes for men (read: Armani's Stronger With You / Acqua di Gio Absolu, Ferragamo's Uomo, Paco Rabanne's Invictus / 1 Million). As speedracer so aptly warns: "Steer clear if you are not into modern designer sweet/fresh frags." As for the main gimmick of "Y" by YSL: That marine ambergris in the base. It adds a clear sweet waxiness that is either love / hate for the wearer. Bold, long lasting fragrance that could get cloying if either overapplied or if the wearer is sensitive to the ambergris-musk note mix. Very modern, very "millennial". Meaning, I suppose, that if your older family members are still wearing Bleu de Chanel you can join the party without seeming to be passe by applying Y. Geranium, pepper, ambroxan. Powerful performance, and less objectionable than some of the scents in whose path it is following; just unoriginal, and undistinguished (and probably, undistinguishable). Y by Yves Saint Laurent was once, and still possibly is, the debut perfume by the house. In perhaps the oddest turn since the label created a male counterpart to 1973's Rive Gauche 30 years after it's release, YSL has chosen to make a male fragrance borrowing the singular letter title from it's legendary debut feminine chypre. Unfortunately, this is where all the creative strokes end. Yves Saint Laurent is the third of the higher-end design houses to jump on the "higher-end generalist" bandwagon began with Chanel's Bleu de Chanel in 2010, then one-upped by Christian Dior with Sauvage in 2015. Whereas Sauvage makes a clear logical leap from BdC's "aquatic with novel ambroxan base" to it's own "fresh fougère with ambroxan base", almost mimicking the progression Calvin Klein's Eternity for Men (1989) made from Davidoff's Cool Water (1988) three decades prior, Y by Yves Saint Laurent seems to be trying to vie for the nonexistent "safest high-end designer yet released" trophy, by being a more-expensive Azzaro Chrome (1996). What made Chrome neat back in 1996 was it's attempt at merging the powdery barbershop fougère vibe with modern 90's synthetic freshie sensibilities, and I can see in this spiritual replaying of perfume history that if Bleu de Chanel is Cool Water's upper-class reincarnation, and Sauvage the same for Eternity, that Yves Saint Laurent would need to ape the vibe of a similar mid-tier scent from decades past, but inject it with ambroxan as well. I mean, if this really was the thinking here, I could have steered them towards Nautica (1992) or even Curve (1996) as the donor 1st-gen freshie for inspiration, but not Chrome. As it stands, Y tries to be this powdery and piquant throwback to the crisp working man's daily juice, just like Chrome was, but injected with a cocktail of the latest synthetics, which in Chrome's day was stuff like Iso E Super and calone, but nowadays includes stuff like ambroxan and norlimbanol (a.k.a. "Karmawood" as Firmenich calls it). Y is extremely boring and super predictable for it's use of an already tired structure, as even when Chrome did this, most people were tired of stuff like Canoe (1936) and Brut (1963) outside of their core audience or vintage lovers, so like with Y now as Chrome was then, it's just an unnecessary hybrid of modern synthetics with a masculine trope that has no hope of appealing to forward-thinking young people. This is especially true in light of how it was marketed: as "Y by Yves Saint Laurent, named after Generation Y...with the goal of offering the millenial generation something different". Just like with Calvin Klein and cK2 (2016), Yves Saint Laurent automatically gets off on the wrong foot before even sniffing the stuff because of the extremely shameless pandering in the ads. Oh.. and different you say? Different how so? It smells like something I would have worn in high school, before most of Generation Y was old enough to know what cologne even is! Y by Yves Saint Laurent starts with something called "white aldehydes", which sounds like a play out of Calvin Klein's "Kleinisms" playbook, with the exotic names for customized captives. I'm not doubting these are real aldehydes, but bleaching them of their sparkle as the name suggests just makes them nose-burn a la 90's and 2000's ozone, which is not a good way to start unless you're committing to that style. Bergamot and ginger make an appearance in the opening, but they're semi-lost in the opening burn, so it isn't until the middle that the scent starts taking shape to my nose. Sage and geranium anchor this to the barbershop sensibilities it shoots for, but without any other familiar barbershop notes like clove or rose orris to surround it. The transition goes right into the feminine violet leaf next, which I guess is a slight nod to the unisex vibes many fresh masculines of the 2010's give off, but it just adds to further befuddle the stuff since it commits back to intentionally male lines in the base. Iso E Super incense note, the expected ambroxan, white musk, norlimbanol wood note, and hints of natural balsam fir with aromatic cedar round out the base. The ambroxan comes across powdery instead of rich like it does when anchoring the Chanel and Dior scents, but this probably has more to do with all the chemical desiccants in the base of Y (which is what norlimbanol and Iso E Super are), sucking all the warmth out of the fake ambergris impression ambroxan usually gives and smelling more instead like a dusty amber note. 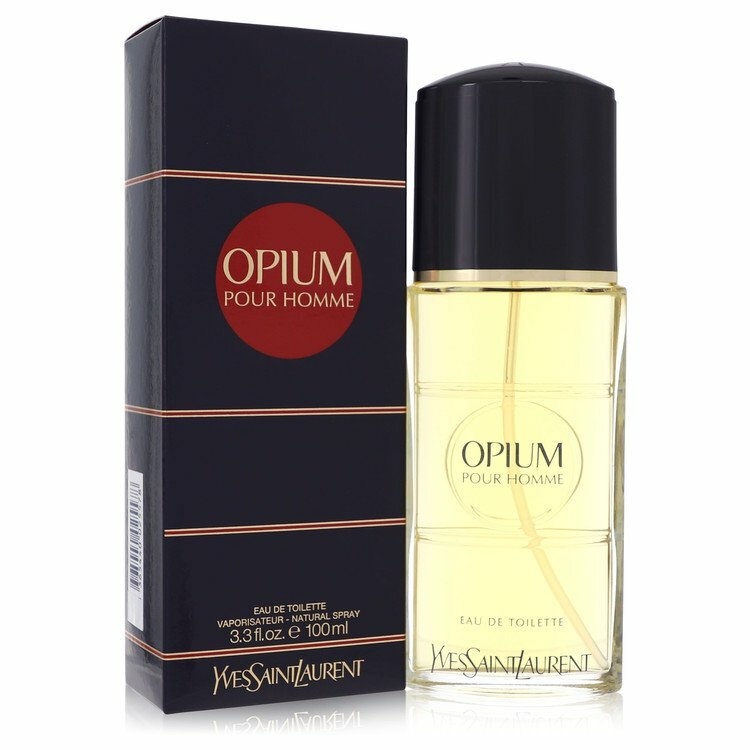 Y feels like Chrome on steroids to my nose, with the less-oceanic qualities of Acqua di Gio (1996) stapled on for good measure; it's nostalgia of 90's generalists infused with a demonic dose of 2010's wonder drugs into what very well might just be the most uninspiring thing from Yves Saint Laurent I've ever smelled. Citrus, dusty herbs and flowers, dry woody aromachemical base with ambroxan so it can be one of the cool kids, and join the "everyman style-scent out of the economic reach of the everyman" pack that Bleu de Chanel and Sauvage belong to, but taken to the next level. It's no surprise that Yves Saint Laurent has hidden the perfumer responsible from us. There's a problem to the formula of this "humble-bragging" approach with the YSL entry, and it's a problem so large that it threatens to break the scent and doom it to the discount bins in a few years. Although honestly, I wouldn't even pay discount bin prices for this unless I was trying to complete a YSL collection, because there are a hundred more distinctive options equally as versatile, even in the catalogs of Avon. The problem with Y is it just doesn't accurately represent an aspiration step above the average Walmart perfume aisle swill it mimics, and it's not something that the taxi driver or landscaper will save up for, and eventually buy because it -is- just that hair's breadth better than his normal bottle of Adidas something or other. Y by Yves Saint Laurent smells so similar to something I'd expect to see on a Target end cap that it might as well be sold there. Folks getting this as a gift and not knowing better will likely enjoy it, but anyone else smelling this blind in a perfume shop will likely think they've smelled it before in Kohl's. Bleu de Chanel and Sauvage work because despite them both being so attuned to mass-market tastes, they are generally just distinctive enough with better composition that they stand out from the crowd (assuming everyone else isn't also wearing them), but Y tries so hard just to be like the stuff in those EA Fragrances gift sets you see on endcaps at that aforementioned Target, that it basically is the same juice pound-for-pound, but with double the dollar amount on the price tag. It's a tired fresh 2000's barbershop beast that drives in the ruts worn into the road by far bigger and better specimen, with an irritatingly dry and tart finish that smells of a heavy hand in it's application. Is Y fresh? Yup. Is it clean? Certainly. Does it remain neutral enough for all occasions? Totally. Can you get by in winter and summer with it? Probably. What makes it better than my bottle of Nautica? Um... it um... uh... has ambroxan in the base? Sorry, that's not good enough, especially when the uncanny warmth of the synthetic jus du jour is cancelled out by all the woody aromatic chemicals. Y wants so hard to be a $25 dollar bottle of everyday cologne that it actually is just that, but sold to the guy who prefers Nordstrom to JCPenny. Making a generalist scent doesn't have to mean making a lazy scent, and the reason why some of these ubiquitous "everyone likes it" juices still stalk the earth after 10, 20, or even 30 years is that they have something which makes them stand out, despite being fairly safe and pedestrian in all other respects, and came down in price over the years because they sell so well that the designers making them can profit on volume rather than margin. I still sometimes sniff a tester of Hugo by Hugo Boss (1995) and think "wow, what a well-put-together scent this is", and I can't say I felt that one iota about Y, and if one pays attention, they will notice that it's already sold below MSRP if one look around, even at places like Ulta, so I know retailers are trying hard to offload it too. This is a wake-up call Yves Saint Laurent: the house that brought us Kouros (1981), Rive Gauche Pour Homme (2003), or even YSL L'Homme (2006) can surely do better. Thumbs down. 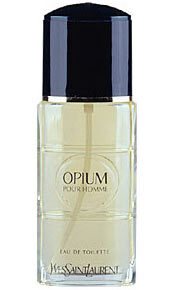 Today, in terms of this time and especially YSL as a house, there's hardly anything good to say about this fragrance. There's a bit stripped Body Kourous idea here, spiced up with something I can't identify. As if it could be named Body Kouros L'eau. There is also an echo of Givenchy Gentlmen Only in this fragrance. It's a shame actually, for had it been released 10 years ago, it could have played a role of an answer to Gucci's Pour Homme II and be remembered today as one of the modern classics. "Y" has good quality ingredients, but issued in the wrong time in a wrong way and is lacking in spirit and character. Y YVES SAINT LAURENT 100ML EAU DE PARFUM MEN NEW SEALED BOX. There are no member images of Y yet. Why not be the first? Yves Saint Laurent Jazz (Current) Your Thoughts? Yves Saint Laurent - The Room Sprays - Is Anyone Familiar With Any Of Them ? 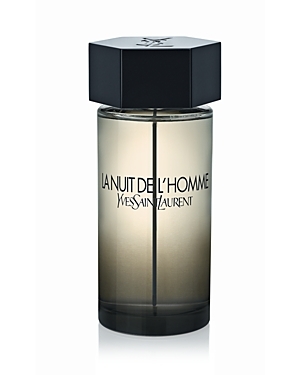 Better than L'Homme Yves Saint Laurent?